When a person has a cavity in their tooth, a dentist will probably recommend a filling. Fillings are safe and effective, but some people might experience discomfort or tooth sensitivity afterward. Most of the time, this sensitivity is normal and will resolve within a few days or weeks. A person should call their dentist right away if they have extreme pain, or if discomfort occurs with other symptoms, such as fever, redness, or swelling. In this article, we look at the reasons why a person may have tooth sensitivity after a filling, how to treat it, and when to see a doctor or dentist. We also look at other possible causes of tooth sensitivity. What should I expect after a filling? The dentist will numb the area around the affected tooth. A filling is a dental procedure that involves a dentist cleaning away any decay from the tooth and then filling the space with a new material. After injecting a numbing agent around the tooth, the dentist will then clean out the decayed area of the tooth, usually with a dental drill. They will then fill the space with gold, silver amalgam, a composite, or porcelain. For several hours after having a filling, a person’s face may still feel numb, tingly, itchy, or puffy. They may have difficulty eating, swallowing, talking, or moving their face. 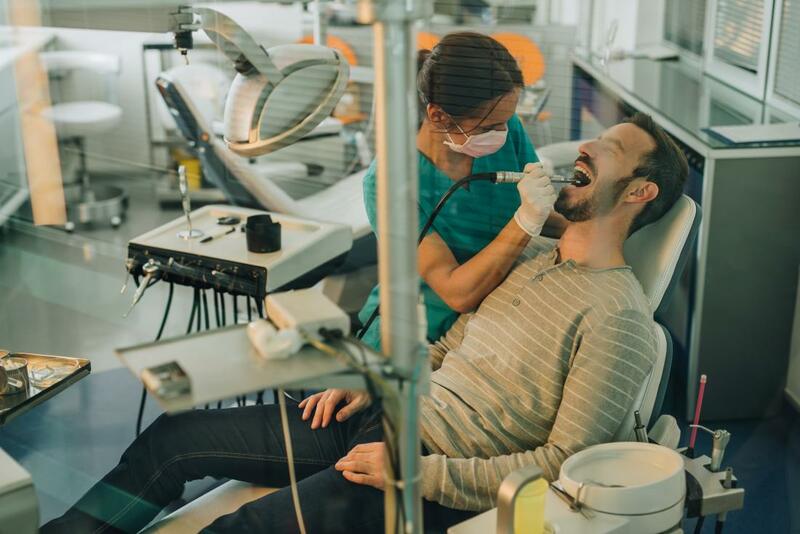 Sometimes, dentists recommend that people avoid eating or drinking for a few hours, as this may result in a person accidentally biting their tongue or cheek. Once the numbing agent has worn off, these feelings will go away. But, in the following days and weeks, a person may notice some new sensations as they adjust to the new filling. Sensitivity in the filled tooth or area around it is one of the most common occurrences during this time. What does sensitivity after a filling feel like? 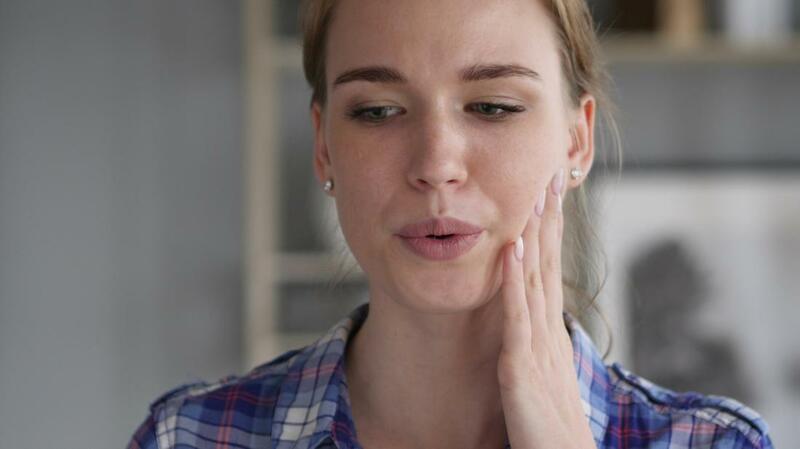 When a person has a sensitive tooth, they may notice that certain triggers cause a temporary, uncomfortable sensation in the filled tooth or surrounding area. It may feel like a shock of cold or sudden pain that comes on quickly and goes away. Why do fillings cause tooth sensitivity? Some sensitivity after a tooth filling is normal and temporary. Sometimes, however, sensitivity after a filling is due to other causes that need treatment or repair. Below, we discuss possible reasons for this symptom and when to see a dentist. The nerve inside the tooth may take a few days to heal. Short-term tooth sensitivity after a filling usually occurs because the filling procedure has aggravated or caused inflammation in the nerve inside the tooth. Usually, the tooth’s outer layers — the enamel and cementum — protect the nerve from exposure. But fillings, especially deep ones, can get close to the nerve endings and cause irritation and uncomfortable sensations. As the nerve heals, the sensitivity will go away. This may take a few days or weeks. Once the nerve has healed fully, a person should feel no difference between the filled tooth and the other teeth. A dentist must ensure that the filling lines up with the other teeth in the mouth. If the filling is too tall, it can cause extra pressure as a person bites down. This can cause pain and sensitivity that is often more severe than normal post-filling sensitivity. It is quite normal for a person to experience some minor sensitivity when biting down in the days following the procedure. Typically, the bite will correct itself within a few weeks. However, if a person experiences severe sensitivity, or they have difficulty eating or putting their teeth together, they should ask their dentist to check the bite. The dentist may decide to smooth down the high point of the filling to properly fit the bite and eliminate discomfort. Pulpitis is inflammation of the pulp deep within the tooth. It can cause tooth sensitivity and pain. A dentist can usually resolve pulpitis with a new filling or a restorative procedure, such as a root canal. A person may also need to take antibiotics to clear any bacterial infection. When a person experiences normal, post-filling sensitivity, a dentist may recommend that they use a desensitizing toothpaste. These products contain an ingredient called potassium nitrate that helps stop the sensations on the surface of the tooth from reaching the nerve endings inside. These products do not work immediately, but a person should notice relief within several days if they use the toothpaste twice a day. Over-the-counter pain relievers, such as acetaminophen or ibuprofen. Topical numbing ointment designed for the mouth. A toothbrush labeled for sensitive teeth. These are softer than standard toothbrushes and will be less harsh on the tooth enamel. Brush with gentle, circular strokes on the teeth and gums. Avoid scrubbing back and forth or aggressive pushing of the brush on the teeth. Floss once a day, taking care to be gentle on the gums and teeth. Take note of which foods or drinks cause sensitivity and avoid them if possible. Avoid whitening toothpaste and products, which can make sensitivity worse. Rinse the mouth out with water after consuming acidic foods or drinks, such as coffee and fruit. Acidic foods and beverages can wear away the tooth enamel. Avoid brushing the teeth immediately after eating acidic foods, as it may remove more of the enamel. If tooth sensitivity does not improve in the days following a filling, talk to a dentist. It is essential that the dentist rules out other potential causes of sensitivity that may not be related to the filling. What else can cause tooth sensitivity? A tooth abscess is an infection in the nerve of the tooth. A very deep cavity, gum disease, or a cracked tooth usually causes an abscess. A tooth abscess requires medical care. A person who notices these symptoms should see a doctor or dentist right away. Dental fillings generally last for years, but they do not last forever. If an older filling becomes loose or breaks, it can cause sensitivity and pain as it gets closer to the nerve in the tooth. Even if the loose or broken filling does not cause discomfort, a person should get a replacement to prevent further damage or decay to the tooth. If the gums bleed during flossing, it may be a sign of gum disease. Periodontal disease, or gum disease, can cause tooth sensitivity. This is because it causes the gums to recede, or pull away from the tooth. This exposes part of the tooth near the root and can make it feel sensitive. The root of the tooth does not have enamel to protect it. Gum disease often causes no symptoms in its early stages. This is why it is important that people see their dentist regularly to check for problems before they become serious. People should not be alarmed if a tooth is mildly sensitive in the days following a filling. Using home remedies and desensitizing toothpaste should help relieve the discomfort. A person should see a dentist right away if the sensitivity worsens, makes it difficult for them to eat, or they experience other symptoms, such as a toothache or fever. Fillings are a safe and effective way to treat dental cavities. Most fillings will last many years. Taking good care of teeth with daily brushing and flossing, as well as regular dental checkups, can help prevent future cavities. Some sensitivity after getting a filling is normal. But, see a dentist for severe sensitivity or pain or if other problems, such as fever or redness, develop.